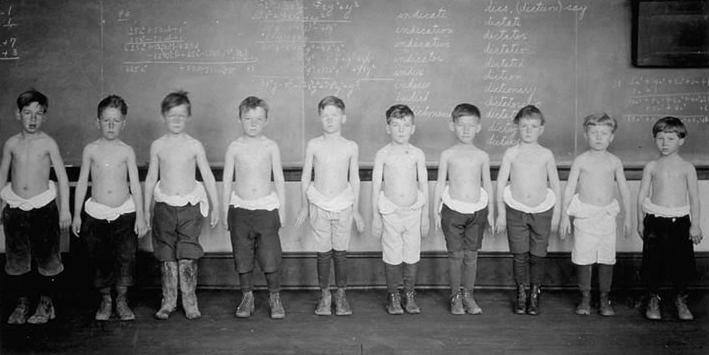 Developmentally disabled children at the Fernald State School and a state School in Waltham, Massachusetts were subjected to radioactive nutrition experiments sponsored by the AEC conducted by Harvard University and MIT researchers. The children were fed Quaker Oats breakfast cereal containing radioactive tracers to test absorption of plant minerals and calcium. Parents were never informed that radioactive elements were involved in the tests. Though never secret — researchers published the results of the Fernald studies in scholarly journals — details of the research effort, funded partly by Quaker Oats Co. and the US Atomic Energy Commission, have sat in a jumble of boxes in the Fernald School library until now. Scott Allen’s article not only ignited a national debate about the ethics of medical research, but it inspired the federal government to launch an investigation into the matter. In her article, “In Debate on Radiation Tests, Rush to Judgment Is Resisted” Gina Kolata of The New York Times,took a far different approach in reporting the egregious exploitation of helpless, vulnerable children in immoral experiments that indeed, no researcher would subject his own child to. Scientists who defend radiation and other ethically dubious human experiments on persons who are incapable of refusing, do so from an elitist position of superiority. They continue to harbor the Eugenic ideology which regards human beings not of their class, as the means to an end. “They told me I shouldn’t have kids and I shouldn’t get married. They said I might have a defect, that I had something wrong with me. They said ‘You aren’t stabilized and you shouldn’t have kids because of what you have.’ I didn’t know what I had. Nobody ever told me. I thought I was like everyone else. 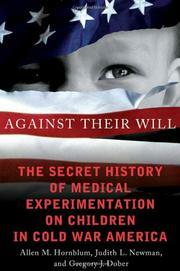 Read more, Against Their Will: The Secret History of Medical Experimentation on Children in Cold War America by Allen Hornbloom, Judith Newman and Gregory Dober, 2013. Posted by Vera Sharav | Monday, December 29, 2014 |	Categorized U.S. Radiation Experiments. Vera Sharav. Bookmark the permalink.